Founded in 1974 by Swami Amar Jyoti, Truth Consciousness is a non-profit spiritual organization that maintains ashrams based upon Sanatana Dharma (the eternal religion) and devoted to the unfolding of consciousness. The ashrams are universal and nondenominational, respecting all Prophets and faiths. Public Satsang is held every Sunday and Thursday, including chanting, aarati, a spiritual teaching and meditation. All sincere seekers are welcome. Come for a visit, walk the grounds, peruse our libraries and meditate in our temples or gardens. Please call in advance to arrange, and, for winter visitors at Sacred Mountain Ashram, to check on road conditions. Please wear modest clothing and respect our ashram guidelines. See the Information for Visitors page. Personal retreats are available for those wishing to deepen their spiritual experience and meditations. Please see our Ashram Retreats page for more information. 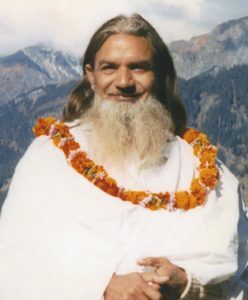 Sadhana (spiritual practices) and karma yoga (selfless service) are an integral part of life for both ashramites and laypersons who wish to imbibe Gurudeva’s teachings and blessings. You are welcome to offer karma yoga or seva at both ashrams and through our Volunteer Opportunities page. For more information see the Truth Consciousness Ashrams page. Truth Consciousness publishes the books and audio and video Satsangs of Swami Amar Jyoti, Light of Consciousness Journal of Spiritual Awakening, the Prayer & Meditation Wall Calendar, Kirtan and Sacred Chants, and other inspiring publications available on this website and at the ashrams. Your donations help support our mission of expanding consciousness. Truth Consciousness is a 501(c)3 non-profit spiritual organization. Your donations are fully tax-deductible and any amount is welcome. You will receive a receipt by email. To donate use our secure online credit card purchasing system below, or mail to or phone Desert Ashram, 3403 W. Sweetwater Dr., Tucson AZ 85745-9301, Phone: 520-743-0384. Please be sure to specify that the amount is for a donation. Please Note: All our donations are processed through our Light of Consciousness shopping cart.